Like many out there which hearts are towards Makkah, it’s always a pleasure to be able to see what is happening in masjed al haram and the Kaabah. The muslim geeks have good stuff for you as usual. 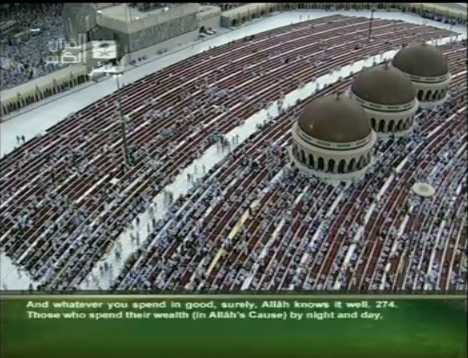 If you didn’t know about it, there is a live channel that broadcasts video streams from Makkah. Recently they opened a live youtube channel. Now everyone with a decent internet connection can stream this live feed! Ok…enough of the talking… here is the link !